PARIS (AFP) – Nobody yet knows the winner of France’s presidential election next year, but the smart money is on one loser: The three-percent cap on government deficits enshrined in eurozone rules. 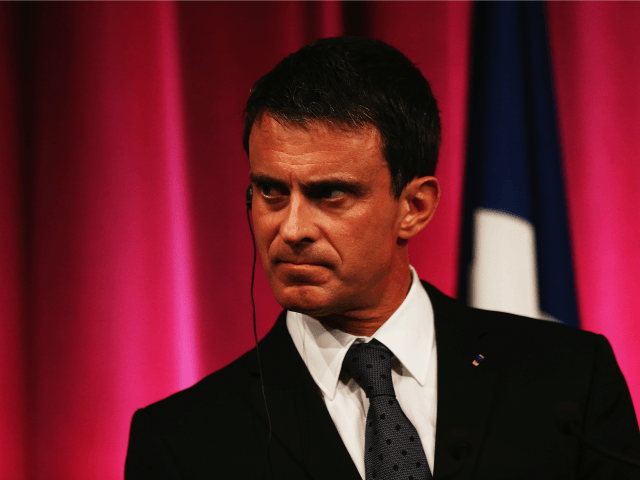 “The European left, Social Democrats, should speak more about economic revival, about loosening the rules of the Stability Pact,” Prime Minister Manuel Valls (pictured) said at the end of August. The EU’s Stability Pact is meant to ensure public finances remain sound and has underpinned the austerity policies of many nations since the global economic crisis. It was an unusual message from Valls, who has a reputation as a budget hawk and has several times pushed through deficit reductions sought by Brussels. But his finance minister was quick to add that Paris would honour its promise to bring its public spending deficit down to 2.7 percent next year. “That doesn’t concern 2017, it is a debate on afterwards,” said Michel Sapin. “We’ve made that promise to parliament and EU authorities and we’re going to keep it,” he told AFP in an interview. But despite such promises, France’s Court of Auditors warned recently that Paris risked again missing the three-percent target in 2017, after years of already doing so. The EU has warned that France will not be allowed to exceed the three-percent deficit target again. France “has been granted a delay of two years twice. This will not be extended again,” EU Economic Affairs Commissioner Pierre Moscovici said in January. Such statements “clearly mark a change in direction”, said Alain Trannoy, head of research at the School for Advanced Studies in the Social Sciences in Paris. He noted that criticism of the pact, agreed in 1997 as preparations for the introduction of the euro stepped up, has spread across the political spectrum. “The Maastricht and Lisbon treaties have bogged down the eurozone in crisis, locked it in absurd, obsolete and suicidal rules”, said Arnaud Montebourg, a former Socialist economy minister who announced his run for the presidency last month. The two treaties underpin the euro and public finance rules in the eurozone. Montebourg’s view is shared by both the far left which is anti-austerity, and by the far-right National Front on national sovereignty grounds. It also appears to be making inroads among the Republicans, the centre-right party, which is in favour of massive cuts in taxes to stimulate the economy. “For Brussels as well as our European partners and the holders of French debt, what counts is that we attack the structural cause of the deficits,” said former president Nicolas Sarkozy, who is vying to win the Republican nomination, when asked recently about the Stability Pact. Trannoy believes that while the criticisms by the candidates must certainly be considered in the light of presidential campaign, they also reflect growing concerns that the EU’s budgetary austerity has held back economic growth and job creation. “The current rules don’t work,” said Mathieu Plane, a researcher at the French Economic Observatory at the Sciences Po university in Paris. “Reducing debt is necessary, but restrictive policies are not necessarily the best means,” he said. It has threatened to do so in recent years in order to enforce budgetary discipline although many economists believe eurozone states should take advantage of ultra-low interest rates to make needed investments in infrastructure and boost their economies, even though debt levels are worryingly high. Trannoy said there was a bit of “curious timing” to the comments as France’s economy is expanding, if just barely.